Tuesday morning at approximately 1:30am, Shoreline Fire was dispatched to Paramount School Park, 15300 8th NE, for a picnic table on fire under the gazebo. 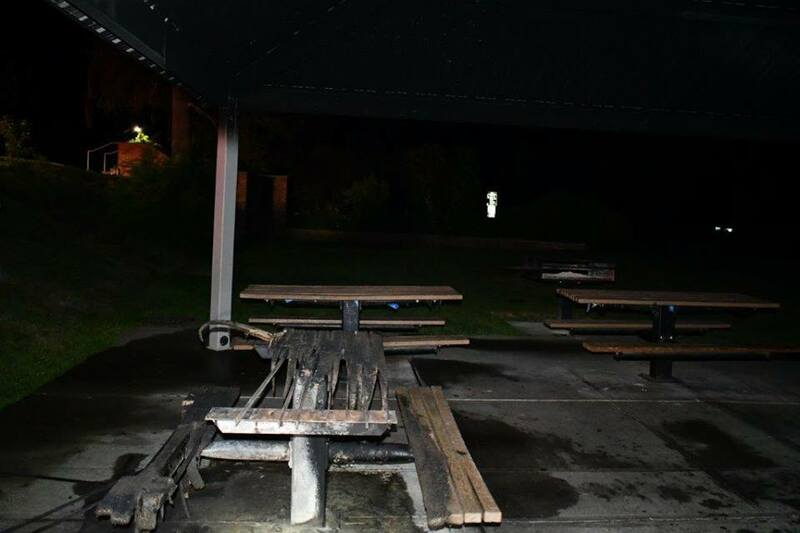 It was extinguished after it caused complete damage to the table and some melting damage to the gazebo roof. No incendiary devices were found. 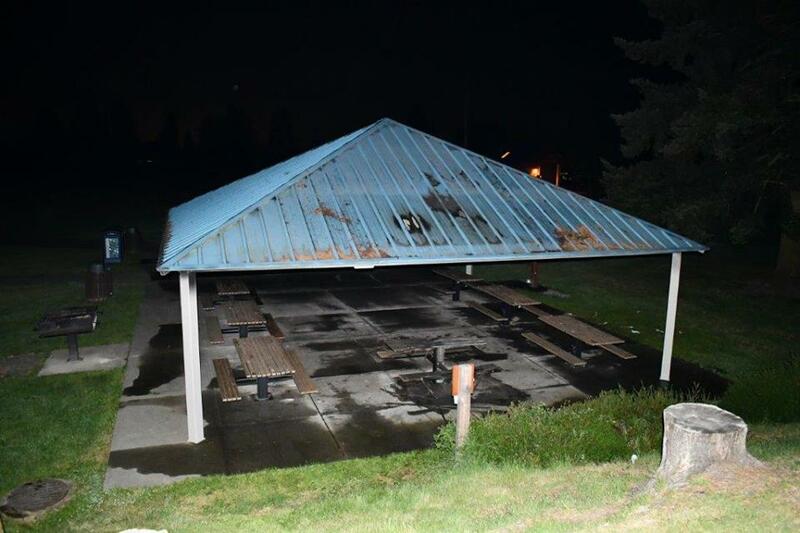 UPDATE: Shoreline Fire investigators conclude that the fire was NOT arson. They believe it was accidental from earlier use of picnic area. Hmmm. The other morning I saw a gentleman who looked like he may be homeless walking away from that shelter. Maybe he had a fire to stay warm. He had all his blankets in a grocery cart.